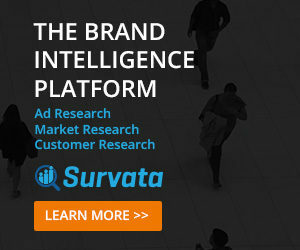 In the past five years, online consumer attention has shifted dramatically. In 2012, consumers spent 4.3 hours a day online, with 36% of that on their mobile devices. Today it’s 5.6 hours a day, with 54% on mobile [Source: Mary Meeker Internet Trends] That requires a shift in the marketing strategies of fashion companies, as consumers discover fashion inspiration in new places. While consumers were changing, so was the competition, with the emergence of subscription model fashion companies such as Stitch Fix and LeTote. These companies try to combat high return rates by predicting what their customers will decide to keep – an approach that may eventually be their undoing. 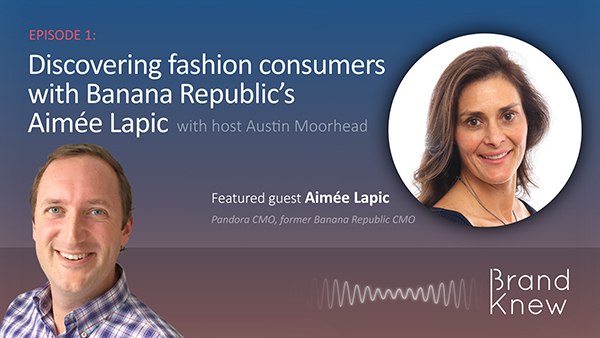 On this episode of the Brand Knew podcast, Aimée Lapic reveals how she responded to these challenges as CMO of Banana Republic, and provides perspective on the challenges facing the new model fashion companies. Excerpts of Aimée’s interview below. Join us for our next episode where we will be talking to Melissa Waters, VP of Marketing at Lyft, about the past and future of ride-sharing.